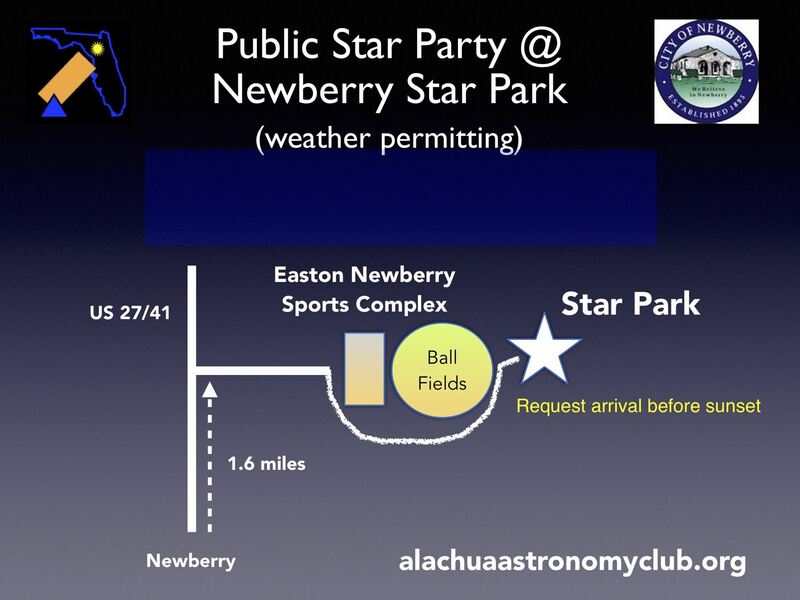 Free observing at Newberry Star Park. Residents of Newberry are invited to come out and join AAC members in observing the night sky. Event Alerts - Go / No Go email will be sent to registrants on morning of the event. You may also call (352) 389-1638 to hear a recorded Go / No Go message after 12 noon on day of the event.